This entry was posted on May 1, 2013 by recoverythrumylens. It was filed under Splash and was tagged with anxiety, awareness, depression, flowers, Hamptons, healing, health, hope, inspiration, love, May, nature, photography, post-traumatic stress, recovery, spiritual, spring, yoga. 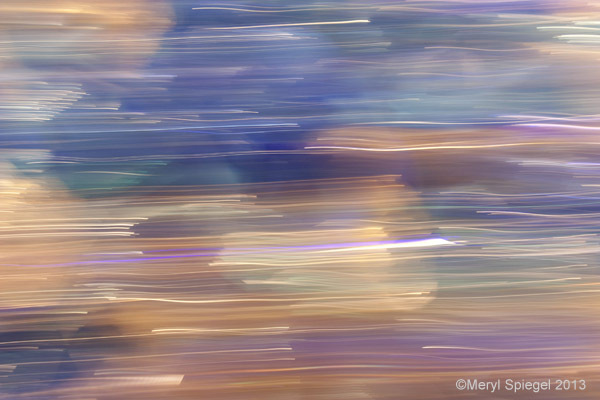 Another lovely abstraction through the use of long exposure time and panning. The colours are exquisite and the rolling lights add some intense energy to the picture. Very nice Meryl.